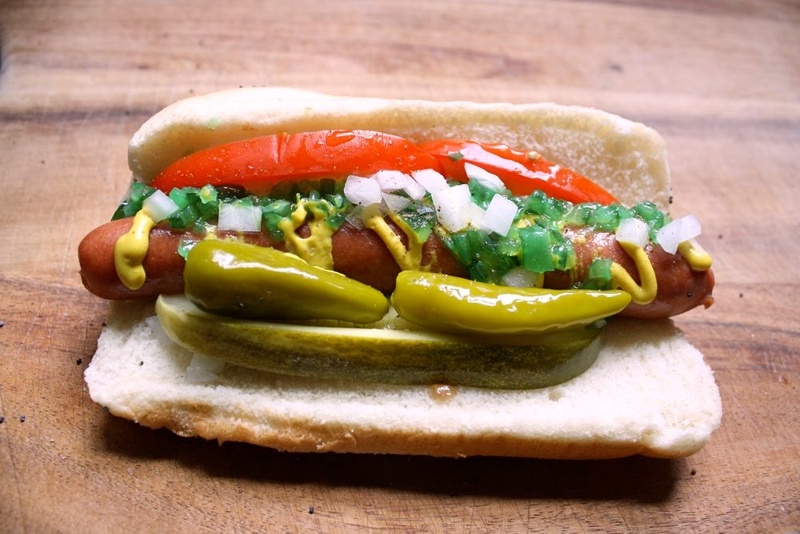 Quote: American expats and Dutch chefs are experimenting with new versions of the hot dog. 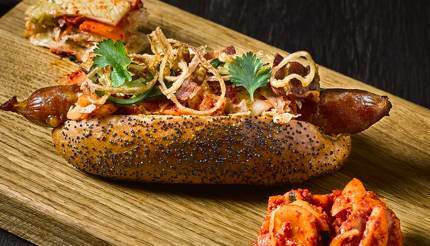 The lavishly-tattooed Brooklynite SammyD at the newly opened Wyers Bar & Restaurant makes a kimchi-bacon hot dog. It’s made of Berkshire pork and comes with cheddar cheese and jalapeño peppers. Its described as “somewhat Texas in style”. The roll is made at a local Dutch bakery. It is topped with chipotle mayo and bacon with the kimchi served on the side. Those dogs all look awesome, but the best way to enjoy one is plain with bread/bud. If you have a good dog there is not reason to hide it with the other stuff. Put that on the side and eat it after you enjoy your dog. No Mason, I am not talking about your kind of dog. I am talking about hot dogs. Although you guys sure do seem to love the way you taste. (07-23-2017, 08:13 PM)Kreeper Wrote: I'm smoking a ham. Have "We" created a day for you or what? And our sci-fi stories speak of terrible aliens that come here to eat us.